A nice weekday morning, many police officers had blocked the Ampang Hilir Road in Kuala Lumpur. 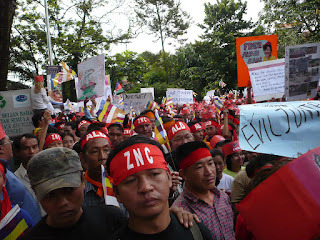 More than two thousands Burmese, they are men, women and children gather in front of Burma Embassy Malaysia. They were chanting, shouting and holding banners. They want the military regime to stop killing people. They were here for the democracy and freedom. 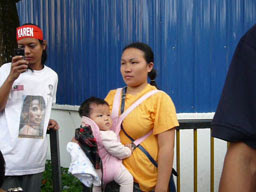 Babies and children joined the crowd too. They might not know what was and what is happening but in future, they will know and we hope that they don't have to be here shouting and chanting for democracy in the next 10 years as their parents did now. 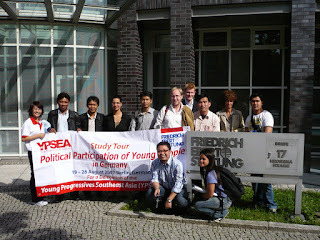 I was there this morning as the representative from Young Progressive Southeast Asia (YPSEA) and also DAP Socialist Youth (DAPSY) International Secretary. 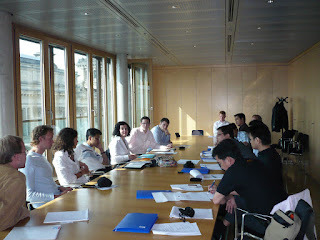 I was there to extend our solidarity support to the people who are struggling and suffering in Burma now. 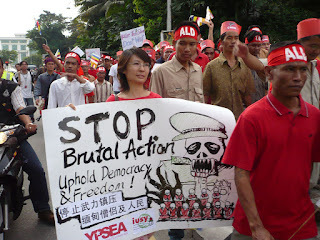 I sincerely hope that this time, the international society and institutes such as UN and ASEAN can do something to stop the mass killing and lead the country back to the democracy path.